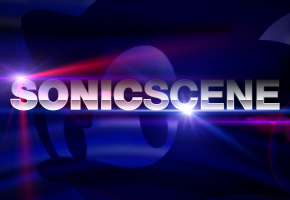 Through French Sonic site and TSSZ News affiliate Eversonic, we have word that both Sonic the Hedgehog 4: Episode 1 and Sonic Colors will make their public debut at the Japan Expo in Paris, France next week. Sega will have a presence there not unlike the one last week at the Electronic Entertainment Expo, which was open only to industry insiders and the otherwise invited. Kiosks will be setup for both Sonic 4 and Sonic Colors, and for the first time, the public will have a chance to try out the games. Attendees will also get a glimpse of the XBOX Live/PSN re-releases of Sonic Adventure and Crazy Taxi. Yakuza 4 will also be publicly playable for the first time in Europe. Other titles Sega will have on hand include Phantasy Star Portable 2, Valkryia Chronicles II, and Vanquish. The company will also offer several games on sale up to 60 percent off. The Japan expo takes place in Paris’s Nord Villepinte Exhibition Center from next Thursday, July 1st, through Sunday July 4th. It will be Sega’s first big test of directly swaying public opinion and concern, particularly with Sonic 4. We’ll be sure to bring you any relevant developments from the show floor late next week.